This is something I see far too much in my practice and it needs to stop here. One spouse pays all the bills and manages the finances. The other spouse is completely in the dark and may or may not be content about their financial situation. The stress this causes on a relationship and on one or both spouses can be a lot to bear. The worst scenario is when the financial spouse dies, leaving the other to track down accounts and insurance, start paying bills and take over the financial responsibility. I find many people in relationships are not talking about money with their partner. I’ve even seen people get married only to find out that their spouse is buried in credit card debt they never knew existed. In our house, I was the financial spouse (hard to imagine, huh?). 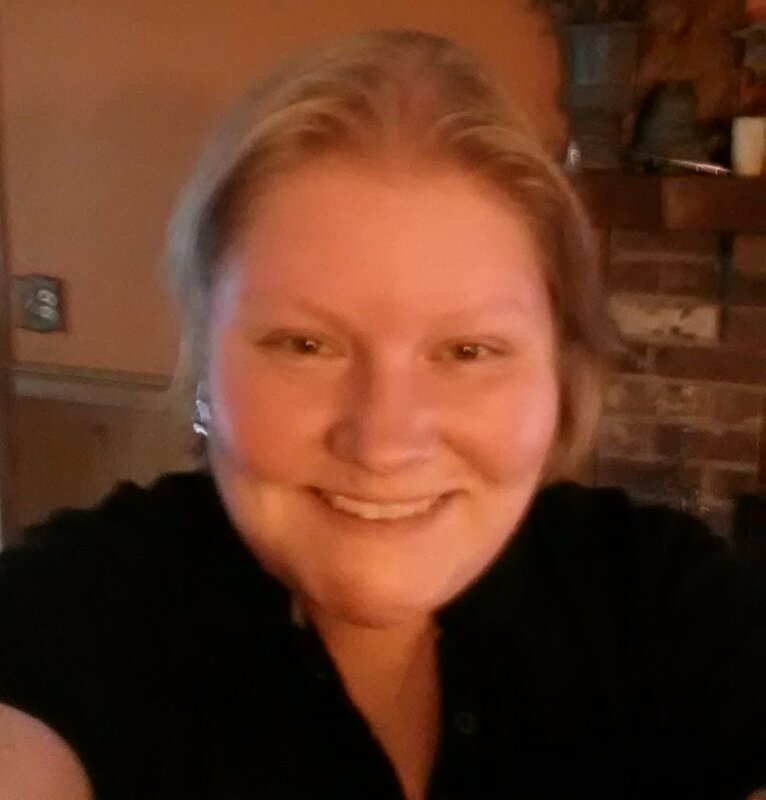 A few years ago, I was diagnosed with cancer and realized that if something happened to me, my husband would be lost. He didn’t know what company we had life insurance with, what credit cards I had or how I paid the bills. He didn’t even know the web login for our bank accounts. To me, this was all second nature. I was also bearing the stress that comes along with credit card, student loan and mortgage debt. Add to that the increased stress of losing most of my income due to the illness. My husband was also stressed out over money, because he didn’t know where we were financially. It took us a long time to sit down and talk about money and how it made us feel. Now, our marriage is stronger because we are in this together. We both know how we are doing financially. I don’t feel like I’m alone in the process and he no longer fears the unknown. 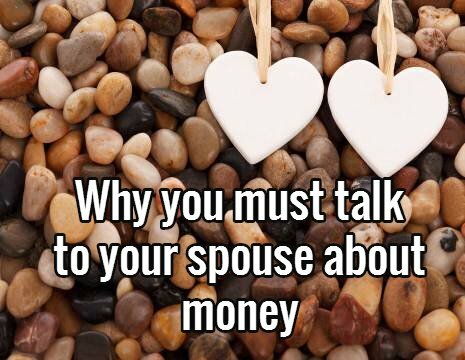 When is the last time you spoke with your significant other about money? Are you the bill payer or the one in the dark? Do you feel like you are alone in your worries? Are you about to marry someone who you know nothing about financially? People, this has got to stop! Your relationship is too important to strain it over money. Your health is too important to be stressed over money. If you’ve never talked to your significant other about money, it might seem difficult to open the lines of communication. If you are the bill payer, start talking about little things with your spouse. Mention that you paid the mortgage today. Talk about savings goals, like vacations or a new car. Once you start discussing the little things, ask your spouse for help. Put together a list of all your assets and insurance policies. When you give it to your spouse, talk about how you want to make sure your spouse knows where everything is in case you need their help. Set your goals together. Do you know what kind of retirement you both want? Is there a vacation you both dream of going on? Discussing these ideas together will naturally open dialog between you. Make sure you never get defensive or upset when discussing money. It’s just not worth it. If you are the spouse in the dark, ask questions. Let your significant other know how you feel. Don’t get defensive or upset. Ask your spouse to help you put together an asset list. Discuss the items listed above. Offer to help pay the bills with your spouse. It’s so much less stressful when my husband and I pay the bills together. Plus, it’s so much faster. Discuss your dreams. You don’t have to center all your conversations on money but it’s definitely an important talk to have. Don’t go in with an attitude! Remember, the key to this is not picking a fight. Don’t get accusatory or upset. Explain how you feel and why this is important to you. This is about the strength of your family and making sure you are prepared in case something happens. I look forward to your comments about your discussions. One book that I really love on this topic is Smart Couples Finish Rich . The beginning of the book is all about communication. The book even has an exercise that you and your spouse can do to see if you are on the same page financially. It was really helpful for us to start talking about money.